Landing number 2097; A Landing A Day blog post number 525. I landed in the Cypress Ck watershed, on to the Tuscombia R (first time ever! ); on to the Hatchie R (first time ever! ); on to the Mississippi (824th hit). 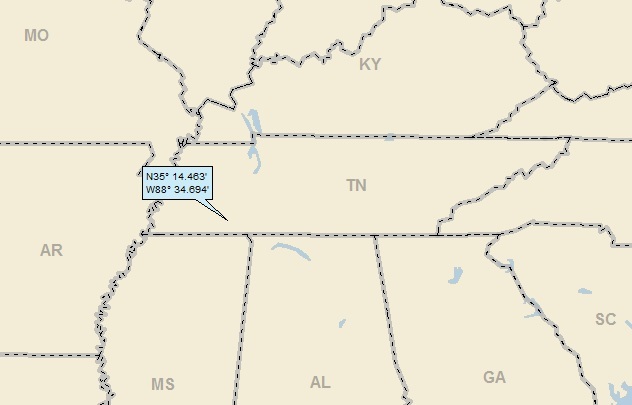 Note that I landed much closer to the Tennessee R than the Mississippi. 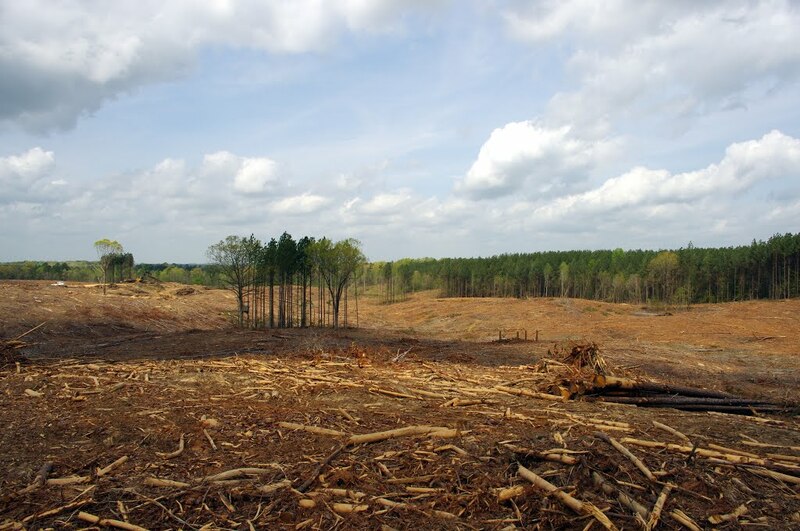 That’s just the way the watershed crumbles . 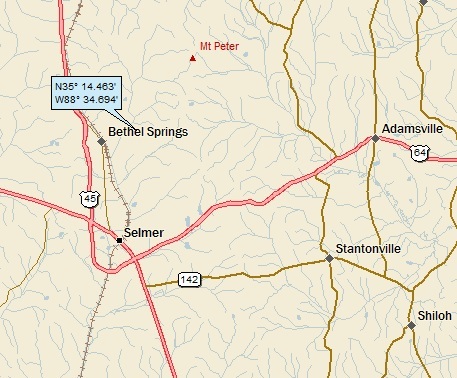 . .
Selmer (pop 4,400) is a town in McNairy County, Tennesseee. It is the county seat of McNairy County and is named after Selma, Alabama. 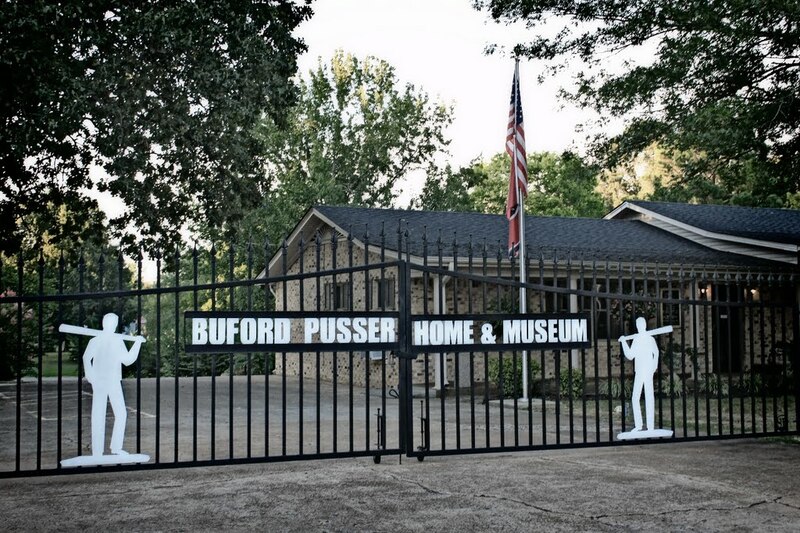 Buford Pusser served as the sheriff of McNairy County from 1964 to 1970. First things first. Selmer is named after Selma? The logic of “Selmer” escapes me. Buford Pusser (1937 – 1974) was the Sheriff of McNairy County, Tennessee, from 1964 to 1970. Pusser is known for his virtual one-man war on moonshining, prostitution, gambling, and other vices on the Mississippi-Tennessee state-line. His efforts have inspired several books, songs, movies, and a TV series. 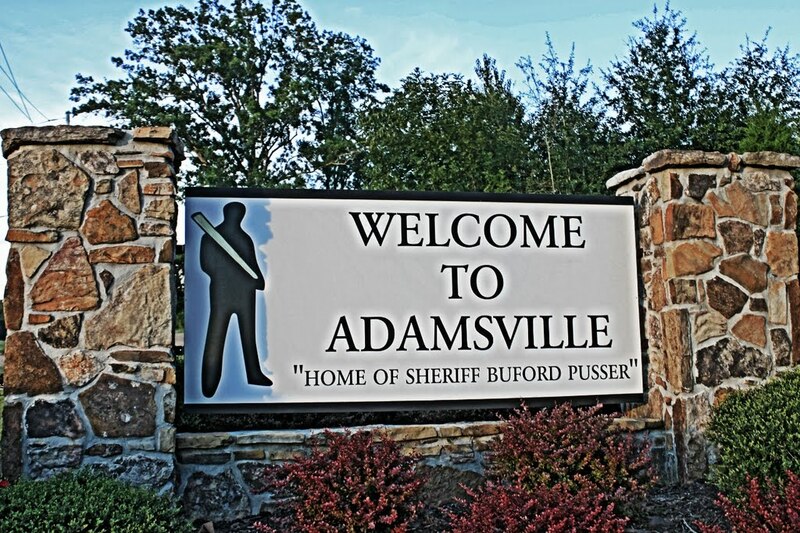 Pusser was Adamsville’s police chief [see landing map] and constable from 1962 to 1964. He then was elected sheriff of McNairy County, Tennessee, after incumbent sheriff, James Dickey was killed in a freak auto accident, becoming the youngest sheriff in Tennessee’s history. Pusser promptly began trying to eliminate the Dixie Mafia and the State Line Mob. The big sleeper movie hit of the past year—in parts of the South it has out-grossed The Godfather—is Walking Tall. It is the real-life story of a crusading, club-swinging Tennessee sheriff named Buford Pusser. Or is it? When pressed as to the film’s fidelity during a 44-state promotion tour, Pusser concedes that Walking Tall was, well, “about 80% real,” 20% cinematic license. The indisputable facts about Pusser were dramatic enough before Hollywood ever moved in. As a beefy (6’6″) 19-year-old, he accused one of the illegal casinos along the Mississippi border of cheating him out of $300 with loaded dice. He was beaten up so badly that his wounds needed 192 stitches. When he recovered, Buford went after his assailants with a hickory stick. 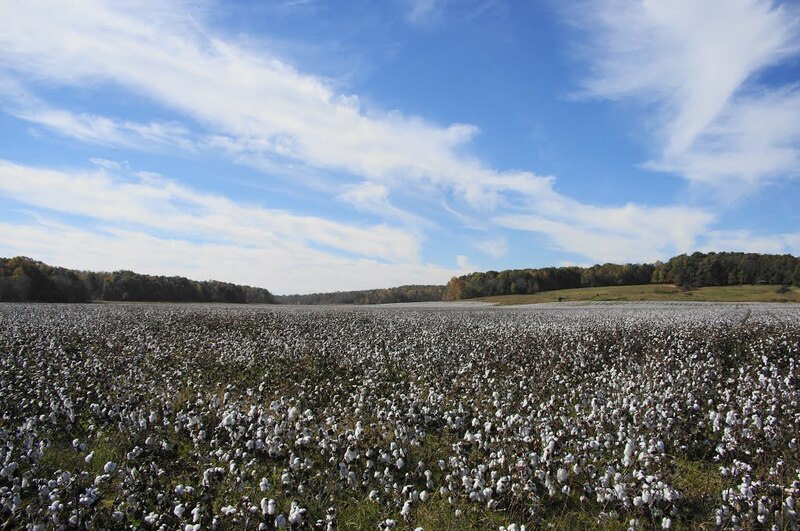 That was the beginning of a campaign over the next few years (culminating in his years as the McNairy County Sheriff) to close down the so-called “shopping center for sinners” flourishing on the Tennessee – Mississippi state line. 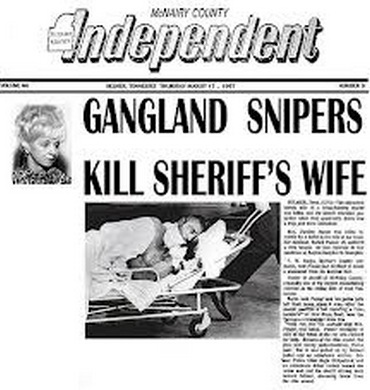 In the process Buford was involved in the controversial shootings of a couple of citizens and took a few bullets and beatings himself before a final tragic automobile ambush in which his wife was killed and his face was riddled by rifle fire. The producers, having already grossed $40 million on a film shot for $1.5 million, are naturally contemplating a sequel. 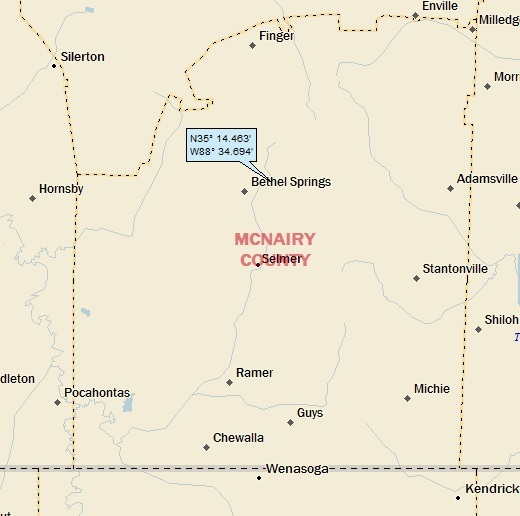 According to Pusser, on the pre-dawn morning of August 12, 1967, his phone rang, informing him of a disturbance call on New Hope Road in McNairy County. He responded, with his wife Pauline joining him for this particular ride. Shortly after they passed the New Hope Methodist Church, a car came alongside Pusser’s; and the occupants opened fire, killing Pauline and leaving Pusser, who had suffered a bullet wound to the chin, for dead. He spent eighteen days in the hospital before returning home and would need several more surgeries to restore his appearance. Pusser vowed to bring all involved with his wife’s death to justice. He identified four assassins: Carl “Towhead” White, George McGann, Gary McDaniel, and Kirksey Nix. As it turned out, Pusser did not have sufficient evidence to bring anyone to trial. On April 4, 1969 White was gunned down in front of the El Ray Motel on U.S. Highway 45 in Corinth, Mississippi. The alleged triggerman was a small-time hood named Berry Smith. W.R. Morris, author of The State Line Mob: A True Story of Murder and Intrigue, wrote in 1990 that Pusser himself had hired the hit man who killed White with one shotgun blast to the head. In late 1970, both McDaniel and McGann were found shot to death in Texas. Pusser was suspected by some law enforcement officials of having killed both, but was never tied to either murder. Nix, never legally charged in the case, nonetheless lived a life of crime, and spent much of his life in prison (where he died) for two unrelated murders. Nix has repeatedly refused to comment about Pusser’s claims that he was one of Pauline Pusser’s killers. I thought that I needed to see the movie before completing this post. I went on Netflix. No luck. I looked in the DVR library. No luck. While I’m sure that I could have downloaded an illegal copy of the movie, I went on Amazon to buy a DVD. Unbelievably, a new DVD cost $70+, and the cheapest used I could find was $14!! So, I bought the used DVD and, after writing all of the above portions of this post, sat down with my wife Jody to watch the film. I figured it was going to be violent (making Jody turn away from the screen), and it was (and she did). But all in all, it was a good movie. After my internet research, I was obviously aware of the real-life Pusser and the fact that the movie took some liberties. But knowing that his wife was going to be murdered was tough. I’ve always been one to shed tears during emotional moments (weddings; listening to great live music; seeing great art; or getting my heartstrings intentionally tugged as was the case here). And sure enough, I had enough invested in Buford and his wife (and the movie was done well enough) that some big ol’ tears went tumblin’ down my cheeks as the grisly murder scene inevitably unfolded. Knowing that it was true makes it pack quite the wallop. The most obvious “flaw” in the real-life story is the murky way Buford’s wife’s murder was never really resolved. Was Pusser actually responsible for any of the deaths of the people he accused? No one knows. The movie side-stepped all that with Buford driving his car into the speak-easy that was the site of the prostitution ring that was the focus of much of the movie, killing two of the proprietors who were inside (and who were two of the gunmen in the car that opened fire). So . . . the real Buford lived long enough to collect some movie royalties. What did he do with his new-found wealth? Bought a souped-up Corvette. And, at age 37, what did he do with his new Corvette? Got behind the wheel drunk, and lost control at high speed. He didn’t make it. . . This entry was posted on April 29, 2014 at 4:37 pm	and is filed under Uncategorized. Tagged: Adamsville Tennessee, Adamsville TN, Buford Pusser, Selmer Tennessee, Selmer TN, Walking Tall. You can follow any responses to this entry through the RSS 2.0 feed. You can leave a response, or trackback from your own site. Great post, very interesting man and sad story. I did close my eyes at certain times.